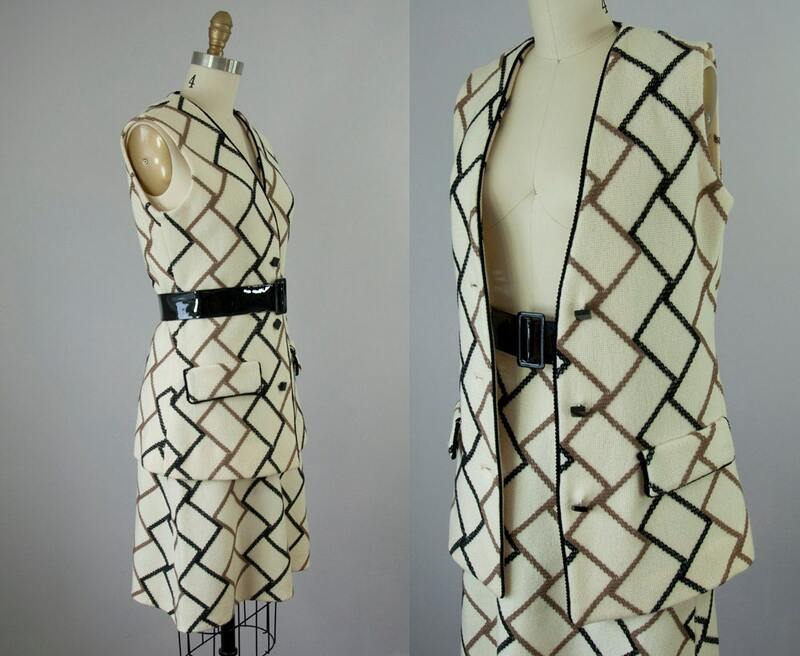 Cool 1960s vintage mod vest and skirt set. 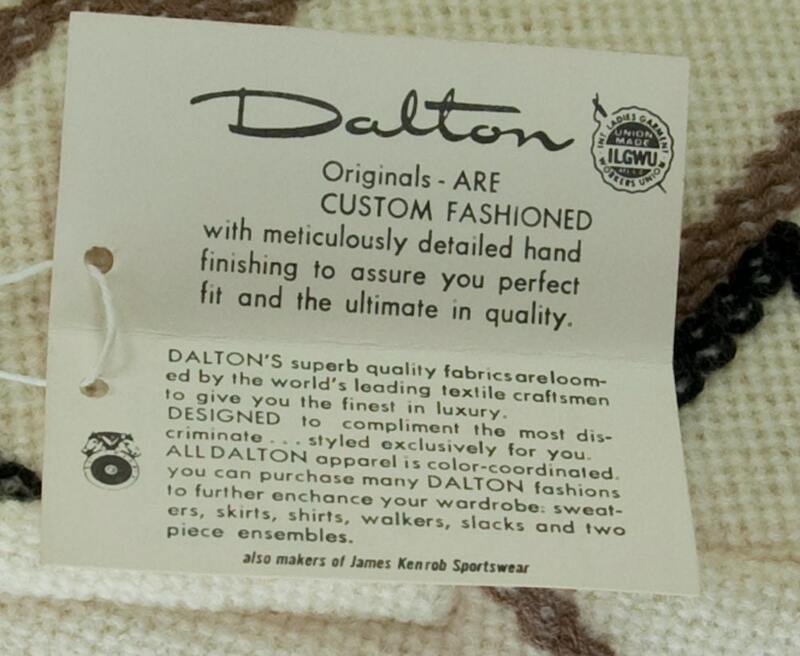 100% Wool by Dalton. Comes with original tag! 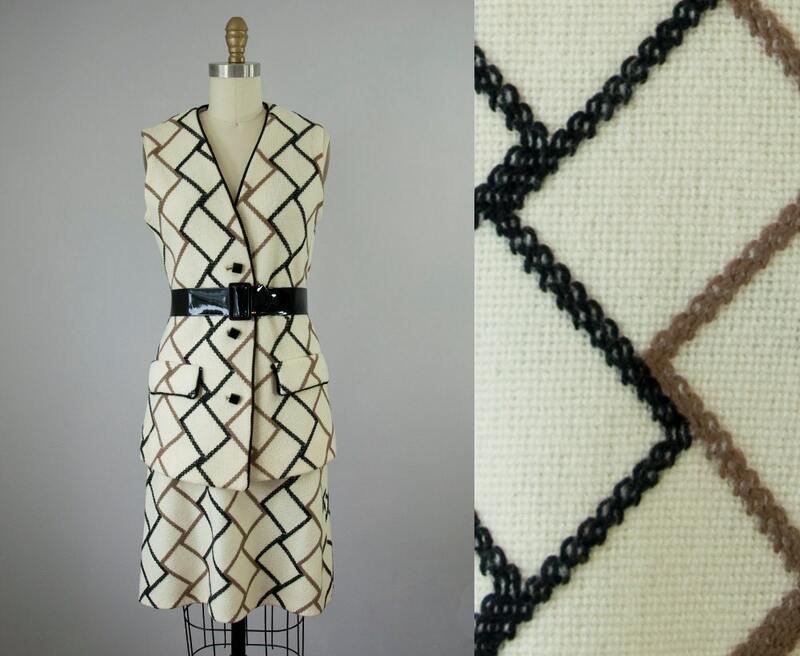 Great worn together or separates. Comes with black belt shown. Soft knit with a good weight to it. 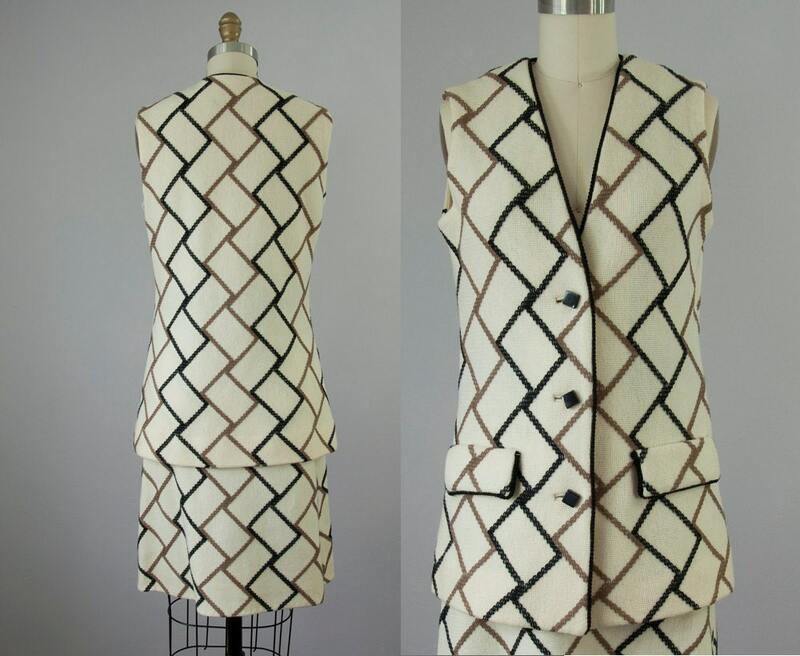 Vest has faux front pockets. Black square buttons. 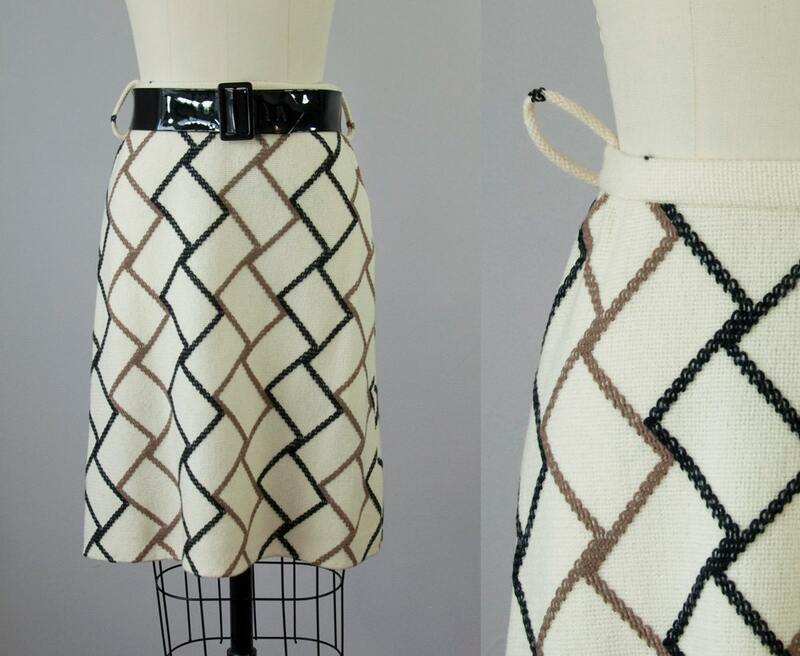 Skirt has side zipper and belt loops. Slight a-line silhouette. Skirt could be hemmed to a mini.